This beautiful nautical themed bangle charm bracelet features a replica of the compass rose from the Portolan atlas that was created by Battista Agnese in 1544. The original atlas was hand-drawn and colored in beautiful tans, browns, yellows, blues and greens. The compass rose replica is set in a circular sterling silver plated pendant tray that measures approximately .75 inches across and hangs from an expandable sterling silver plated bangle bracelet. 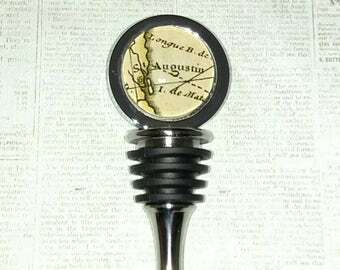 The finished glass cabochon is domed shaped and magnifies the beautiful compass image. 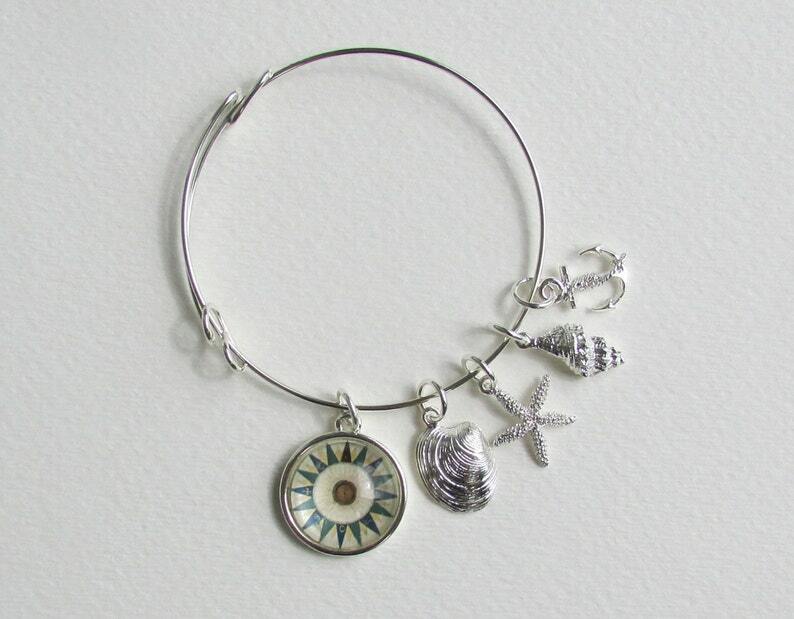 The bracelet also has four additional sterling silver plated sea-life and nautical charms. Included in this bracelet are the clam, sea star, conch, and anchor charms. Other sea-life and nautical charms may be available for customization. Please email me to inquire about custom charms or map images. Please note: There is a few glare spots on the glass cabochon. 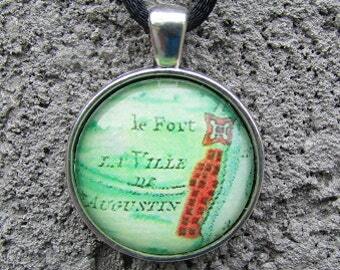 This map image and charms are also available for a custom order.